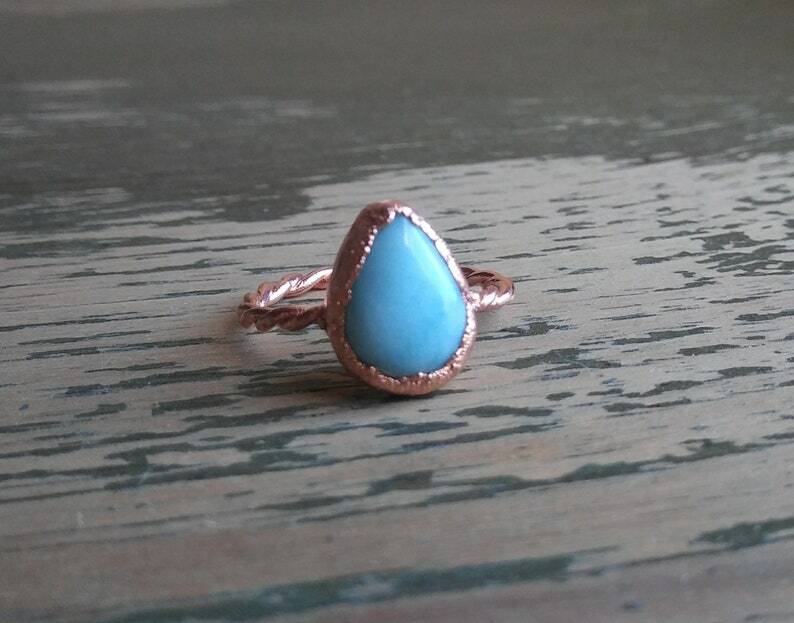 This listing features a Larimar Copper Electroformed Ring size 9 1/2. it has a twisted copper band, this ring was made to last many years. This is a unique ring due to the fact that larimar stones are unique in color, The stone is only found in Dominican Republic.